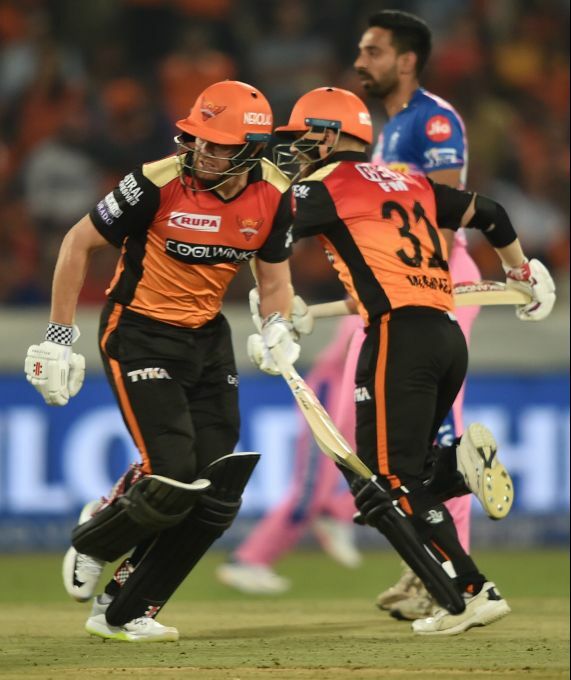 Hyderabad: Sunrisers Hyderabad (SRH) batsman Jonny Bairstow and David Warner cross each other to complete a run during the Indian Premier League2019(IPL T20) cricket match between Sunrisers Hyderabad (SRH) and Rajasthan Royals (RR) at Rajiv Gandhi International Cricket Stadium in Hyderabad, Friday, March 29, 2019. 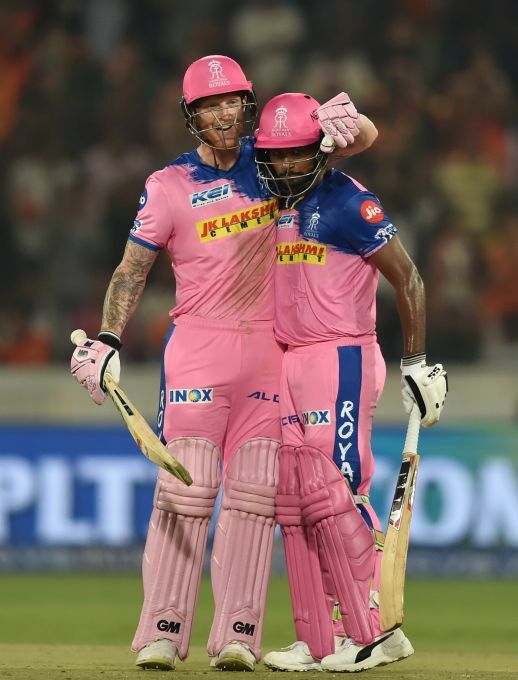 Hyderabad: RR batsman Jos Buttler congratulates his teammate S Samson on completing a century during the Indian Premier League 2019 (IPL T20) cricket match between Sunrisers Hyderabad (SRH) and Rajasthan Royals (RR) at Rajiv Gandhi International Cricket Stadium, in Hyderabad, Friday, March 29, 2019. 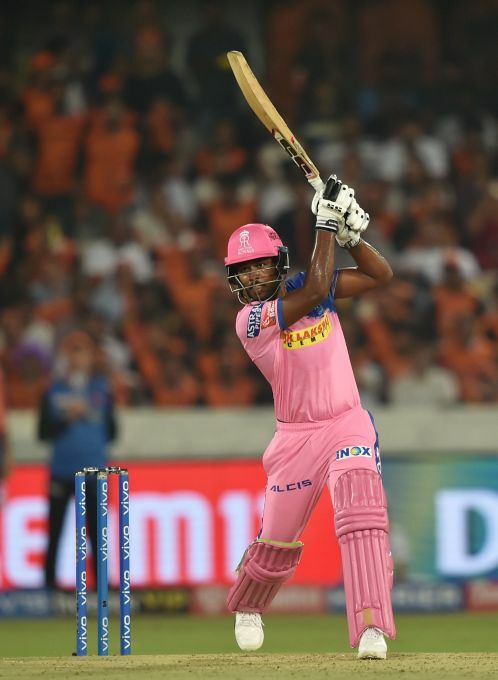 Hyderabad: RR batsman S Samson plays a shot during the Indian Premier League 2019 (IPL T20) cricket match between Sunrisers Hyderabad (SRH) and Rajasthan Royals (RR) at Rajiv Gandhi International Cricket Stadium, in Hyderabad, Friday, March 29, 2019. 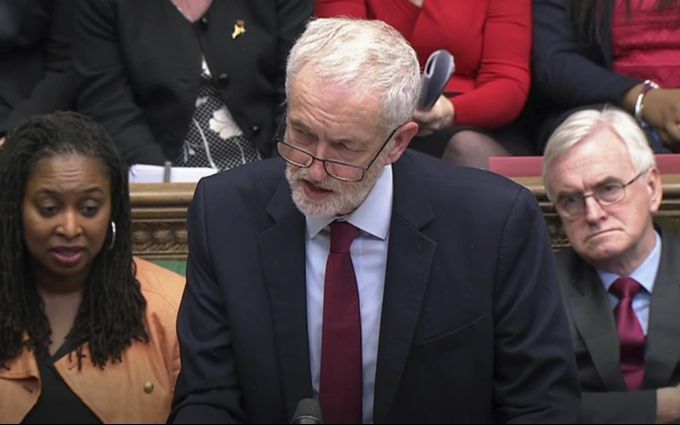 London: Britain's main opposition Labour Party leader Jeremy Corbyn speaks to lawmakers after the government's Brexit withdrawal agreement was voted down in the House of Commons, London, Friday March 29, 2019. U.K. lawmakers on Friday rejected the government's Brexit divorce deal with the European Union for a third time. London: Britain's Prime Minister Theresa May speaks to lawmakers after the government's Brexit withdrawal agreement was voted down in the House of Commons, London, Friday March 29, 2019. 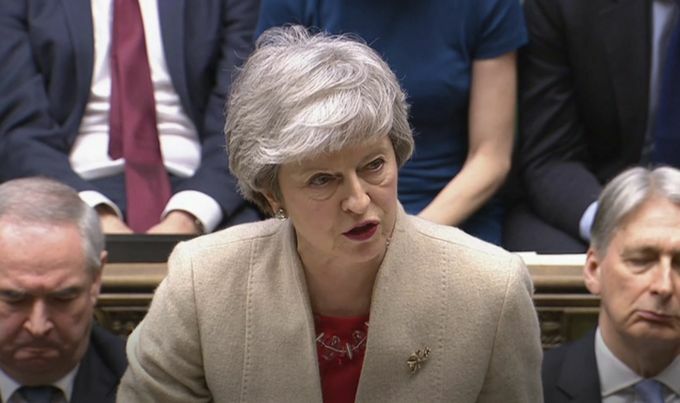 U.K. lawmakers on Friday rejected the government's Brexit divorce deal with the European Union for a third time. 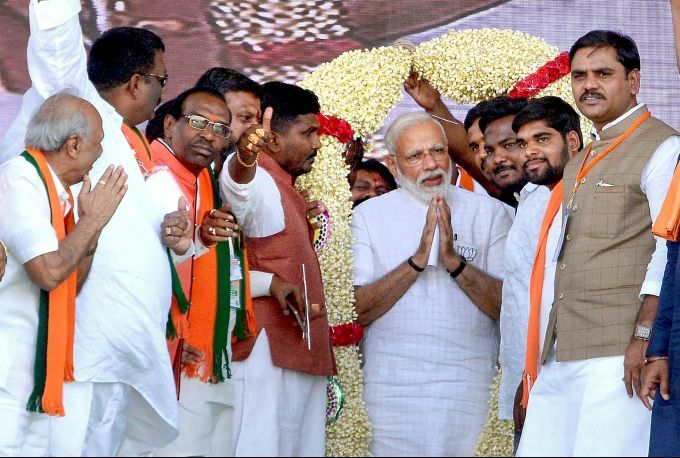 Kurnool: Prime Minister Narendra Modi being garlanded during a public meeting for election campaigns ahead of Lok Sabha polls, in Kurnool district of Andhra Pradesh, Friday, March 29, 2019.